Like so many industries, the energy sector is being impacted by an overall shortage of skilled talent at the senior level. This shortage is exacerbated by the volatile nature of the industry in recent years. 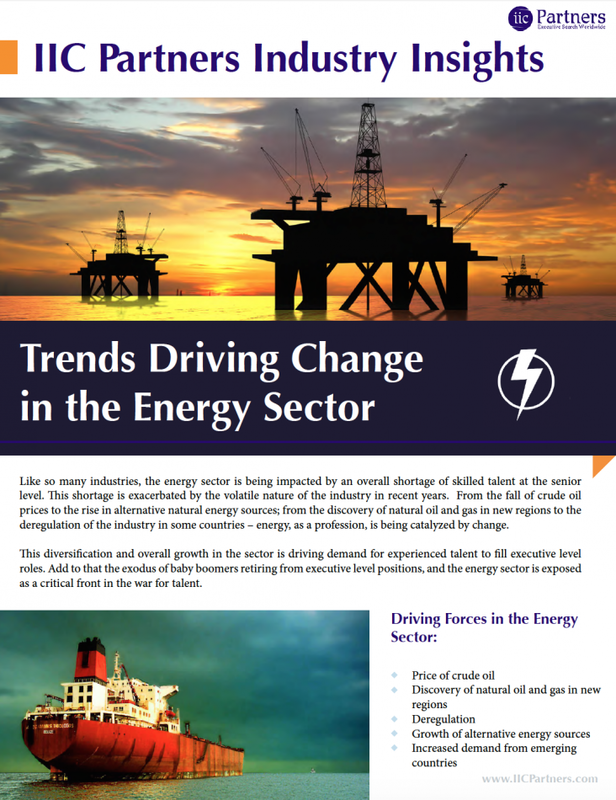 From the fall of crude oil prices to the rise in alternative natural energy sources; from the discovery of natural oil and gas in new regions to the deregulation of the industry in some countries – energy, as a profession, is being catalyzed by change. This diversification and overall growth in the sector is driving demand for experienced talent to fill executive level roles. Add to that the exodus of baby boomers retiring from executive level positions, and the energy sector is exposed as a critical front in the war for talent.